Ցամաքային զորքերի զենքերը 1915 թվականի սեպտեմբերի դրությամբ. ↑ 1,0 1,1 Tucker (1996), p. 151. ↑ Michael Robert Marrus. The unwanted: European refugees from the First World War through the Cold War. Temple University Press, 2002, pg. 46. ↑ 20,0 20,1 Crampton. Bulgaria, Oxford history of modern Europe. Oxford University Press, 2007, pg.205. 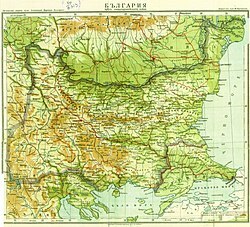 ↑ Bulgarian Economy during the wars 1912–1918. ↑ Crampton. Bulgaria, Oxford history of modern Europe. Oxford University Press, 2007, pp.205–206. ↑ Crampton. Bulgaria, Oxford history of modern Europe. Oxford University Press, 2007, pg.206. ↑ Българската армия в Световната война, vol. II (1936), pg. 904.